Submarines, the design, lead time, national security and military objective. 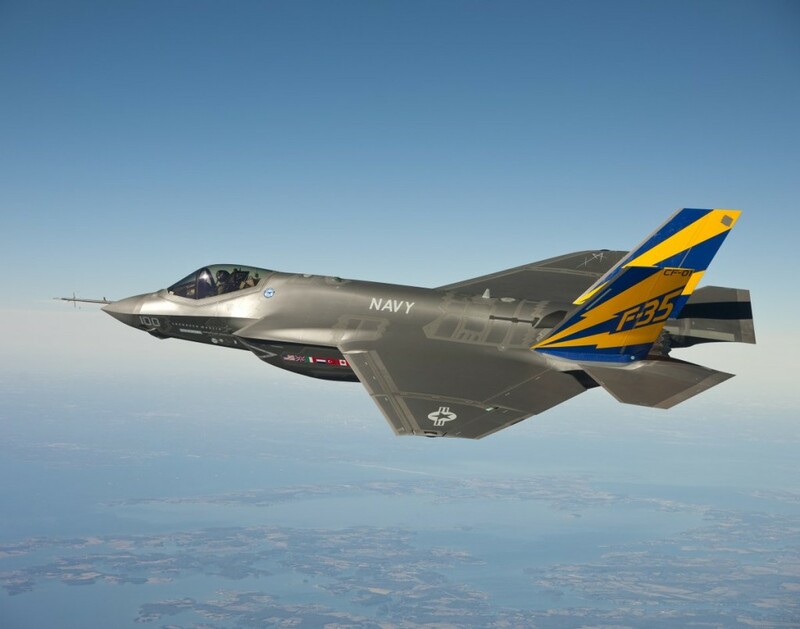 Joint Strike Fighter, design, cost and combat readiness. Darwin Port, the role of Darwin as a pendant below the Chinese ‘string of pearls’ from the South China Sea to the Persian Gulf. The Australian Strategic Policy Institute (ASPI) estimates the cost of submarines to replace the Collins class vessels will be between $1.4 billion and $3.04 billion each with an estimated total cost of $36 billion. Submarines may not be ready until the mid-2030s. National security cannot be overemphasised. At the conference ‘Submarine Choice’ (September 2014) hosted by ASPI Sweden very publicly removed its Kukums submarine contractor from German control citing a concern over militarism. Is there a warning signal for Australia with Japan as contractor? With respect to the ill disguised position of Japan in the preliminary discussions, the Australian public is entitled to greater transparency. Is the situation related to the American ‘pivot to Asia’? America is keen to bolster Japan both militarily and economically as a bulwark against China and it may well be that America will use the opportunity to insert its weapons systems into the construction contract. With a European contractor this might be more difficult. Japanese submarines have a 20-year life, not a 30-year life as required by the Australian navy. Japanese shipyards have not built a submarine for operation in a distant theatre. French and German companies have. The Japanese Soryu class submarines are 2950 tonnes; the Collins class submarines are 3100 tonnes. The Soryu class has only two thirds the range of a Collins class submarine. 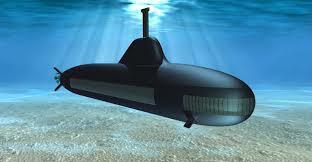 Japanese builders must redesign the submarines for extended under water propulsion. Beware the F35 debacle. Why did Japan refuse to build submarines for India in India? Modern submarines have a single pressure hull- the Japanese hulls are composite alloys. This may explain the shorter operating life due to metal fatigue. French and German shipyards have discussed widely with Australian suppliers, Japanese have not. French and German shipyards have built submarines for other navies. Japan has not. Mr Abbott should explain to the Australian people why overt preference has apparently been given to Japan. In the murky world of the armaments trade, was America providing liminal pressure only visible to a Canberra cohort to support Japan? At the Submarine Choice conference, there was reference to Australia’s unique requirements for its submarines. What are they? A senior naval consultant stated ‘Australia is the only navy in the world that flogs its submarines thousands of kilometres across the ocean before going on patrol’. 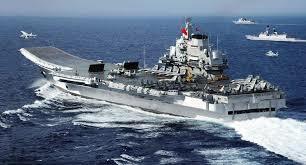 Among design circles, it has been mooted that due to the threat now caused by autonomous underwater vehicles, consideration is being given to an ‘aircraft carrier’ type concept, that is, a ‘mothership’ servicing smaller, less expensive and more expendable submarines. The problems for submarines patrolling an enemy coastline is they are increasingly vulnerable to sophisticated shore launched undewater drones. The problem is these vessels have to be relevant for the next thirty years. Grave concerns have surfaced on the design of the US built F35 stealth fighter. They are a long way from being combat ready although delivery to Australia was supposed to commence in 2012. The F35 is a venture between the States and Lockheed Martin, the project overrun is in the billions. The United States has been pressing its allies to accept a share of the cost overrun additional to their contract price. The F35 is designed as an out -of-sight attack aircraft. In the dog fight situation, pilots state it is slower and less agile than other fighter aircraft and becomes a vulnerable target. Top gun pilots refer to the F35 as the ‘little turd’. In flight and on the ground the electronics fail over 32*C.
Overall a high electronics failure rate. Navigation and accuracy software is unreliable. Flight control system degrades over time. The $400,000 pilot helmet can kill on ejection. Australia originally agreed to purchase 72 fighters in 2002 with delivery expected in 2012. There were delays. In 2015, the Government confirmed a $24 billion order for 58 aircraft (approx. $A400 million each), despite the problems. At the current March Senate hearings, a US spokesman was unable to confirm how many aircraft are on the production line, he thought between one and sixteen!! Delivery will be sometime in the 2020s. The immense problem for Australia, as expressed by Dr Joiner, former head of ADF Test and Evaluation Department, is that ‘Australia must show more spine and consider the Canadian decision, otherwise Australia will end up with a plane not knowing what it can do and what it cannot do”. (ABC Background Briefing, March 2016) Who in Australia is prepared to spearhead a decision? By serendipity, in mid=March, the Chief of the Australian Air Force launched a strident defence of the F35 on ABC News with reporter Andrew Greene. The forceful argument was, however, hedged with a proviso that if the F35 was further delayed F18 Super Hornets would be acquired which entered Australian military service in 2010. At its peak, the British empire protected its trade routes and maintained naval hegemony using its vital coaling stations and strategic ports, for example, Cape Town, Aden, Singapore and Hong Kong. Royal naval presence based in these ports maintained safe passage for British commerce. Hong Kong was ceded to the British following the First Opium War in 1842. Later, Kowloon and the New Territories were leased to Britain for 99 years. Hong Kong and Territories were returned to China in 1997. During this 150-year period, Hong Kong was of immense commercial value to Britain. Jog forward to 2000 AD. For the past 5000 years, empires have risen, collapsed and new ones risen. The Chinese Dream is in the ascendent and has materialised as a crusade for economic, political and military primacy in South-East Asia, Australia and New Zealand. (The Drum, November, 2015) For the first sixteen years of the 21st Century, the Chinese iron fist inside a silken glove has extended power with a glacial, inexorable momentum. No huffing and puffing by a super power or squeaks from an aspiring middle power has slowed this momentum. Expressions of diplomatic opposition are naive. As a rising maritime power (like Britain), intent on increasing influence and commerce, China must protect its future maritime trading routes. This process has been dubbed the Chinese ‘string of pearls’. This, in reality, is a number of China friendly ports extending from the South China Sea to include ports in Vietnam, Bangladesh, Pakistan, Sri Lanka, Djibouti and Iran in the oil rich Persian Gulf. From naval bases in these countries China will protect its commercial interests. The Darwin Port was leased to China for 99 years in November2015. Darwin constitutes a veritable Kohinoor diamond pendant hanging below the ‘string of pearls’. Darwin controls a strategic region close to the Australian east coast shipping lanes carrying coal and wheat and the west coast lanes carrying iron ore, offshore oil and gas and lithium concentrates. On Darwin’s near north are the oil resources of the Timor sea. Currently there is a Senate Committee hearing on the Darwin port purchase and the national security implications of Chinese ownership. This is a story that is morphing from the bizarre to the surreal. That a sovereign nation would cede a strategic asset with national security implications to a potential enemy is beyond belief. An indication of unease behind the scenes is the US State Department conducting a nation wide opinion poll on Australians’ reaction to the Darwin lease. (AFR, 10 March) This is surreal – what has transpired within the US State Department to consider this move? The US Ambassador in Canberra has down-played, not denied, this poll. Because of or inspite of the Darwin lease, a reinforcement is planned for the ‘pivot to Asia’. 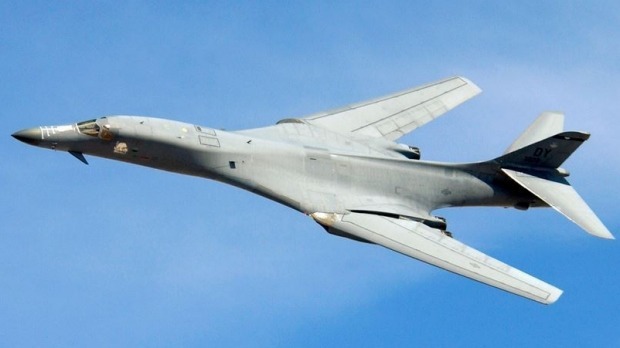 B1 bombers, capable of carrying nuclear weapons, are to be based near Darwin in order ‘to deter Chinese ambitions in the South China Sea. (SMH, 8 March) No doubt Darwin Port will advise Beijing when these bombers take off and return! Returning to empires, over the past 5000 years, history shows they die of exhaustion-they are not stopped in there tracks as they increase the size of their overseas possessions. Unless the Chinese are expelled from Darwin now, because of an irregular FIRB submission, the Darwin facility will remain a thorn in the side of the ADF for 99 years. The relationship between China and the United States will be one of competition and cooperation. For the next two decades the US will remain the preeminent global power. There will be challenges to global stability, however Australia can only prosper under a rules-based order. The threat of terrorism will increase. The Pacific region will suffer slow growth and modernisation. Asian defence spending is exceeding that of Western Europe. Australia’s military edge will decrease as regional nations modernise. In the next twenty years, half the world’s submarines and military aircraft will be deployed in in this region. There will be threats from space and cyberspace. The global and regional order will become less civilised. Australia’s military will deal with uncertainty, not containment. The Asian security environment will become more competitive and less cooperative. There is the possibility of unexpected breaches of thresholds making sudden conflict likely. Indonesia is pushing ahead with vigorous military modernisation. Be empowered to project a more muscular response. Become more agile, capable and responsive. Must maintain a higher level of preparedness. Overall the White Paper implies a sense of urgency. A philosophical question – what is the purpose of the east Asian arms buildup? As in the European World Wars I and II, will the region split into two sides or will it degenerate into nasty little wars as occurred in South America, or will there be the equivalent of the Spanish Civil War where two larger powers tested their weapons on a destabilised country. Pax Deo!